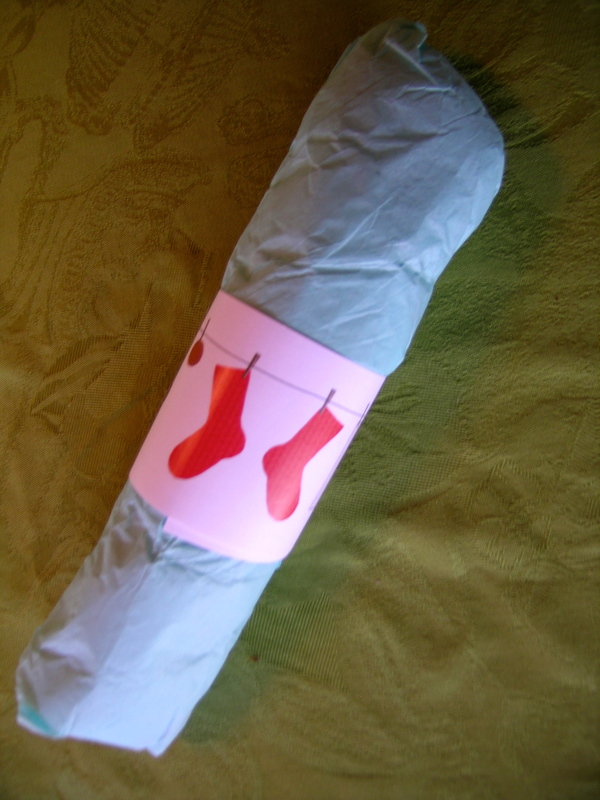 Eco Easter and more socks! 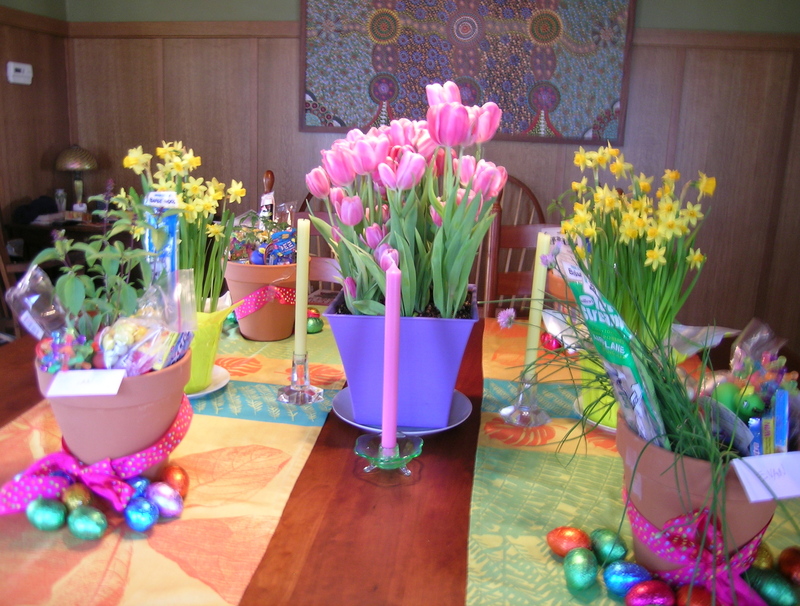 My son came home from college with 2 friends so I said that I would make Easter baskets for all of them. I think that they thought I was kidding. My daughter of course, knew that I was serious. I had a fun time thinking of toys and candy to entertain them at school (including a potato gun). 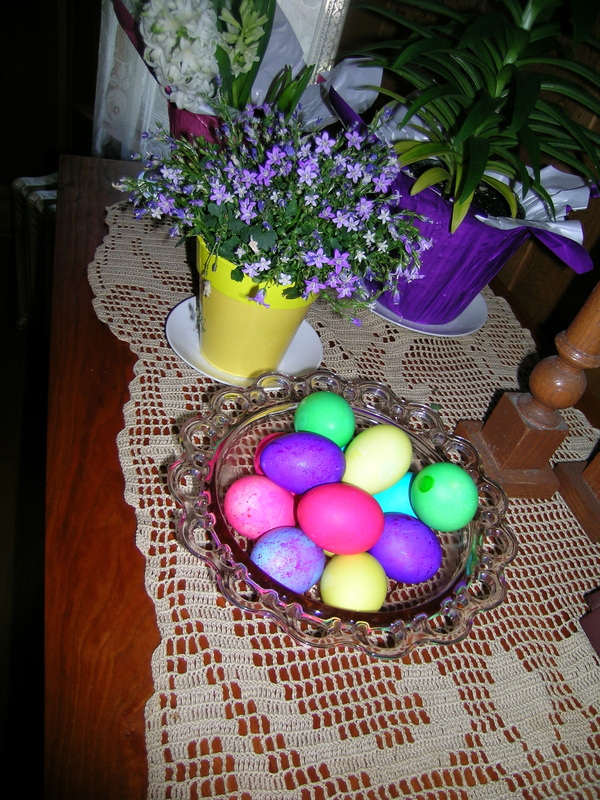 In looking for an alternative to the ubiquitous plastic Easter basket I came up with the idea of using clay pots, and adding a potted herb to each basket that they could use in their apartments. The end result was very pleasing. 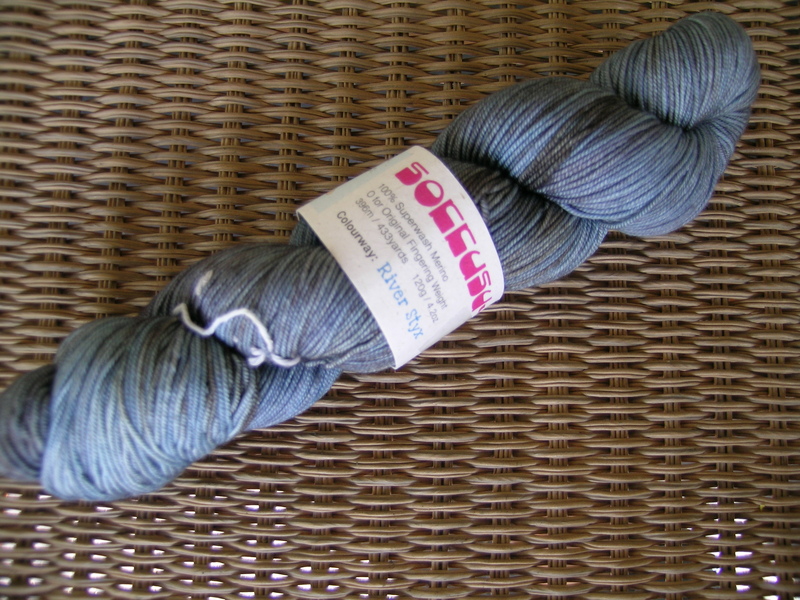 And, yesterday my next installment of yarn for the CookieA sock club came in the mail. That was a pleasant surprise as I had not received the shipping notice. This color will be perfect for my husband so I am hoping that one of the patterns will be “male friendly”. You are such a good Momma! Those were just stunning! I think that yarn will work up to be lovely manly socks! A lucky man indeed!